Experienced traders will tell you that trading is mostly a mental game, separating the strong minded from the weak minded. This may sound pretty harsh but it’s the reality of the financial markets. Like we have mentioned in previous Day Trading Forex Live articles – “When money is involved emotions run wild!” This is not only due to hard economic times but rather human nature. Plain and simple: Trading is not for the faint-hearted… Whether it’s Forex, Stocks or Binary Options the same concept applies. Before we jump into this article you need to set your ego aside and be honest with yourself from the get go, as it might just change your trading outcome for the better. The big question on your mind right now is most likely how you can prepare yourself for this mental game that awaits you but most importantly if you can prepare yourself. The answer will differ for every individual as some people unfortunately cannot get themselves into the state of mind they need to be in. The good news is that if you are serious, focused and hungry to succeed the sky is the limit. Binary options trading affects us on a mental bases and requires us to be in the right state of mind 24/7, staying focused, positive and motivated. The way you think and plan your next trading sessions is equally important as the trading session itself. You are running an online business after all and it’s no different than any other. Arguably the biggest part of the mental challenge we as traders’ face is accepting losses. When referring to accepting losses I mean losing your money. Losing your money means losing your trading account capital. Just like any business, without capital you can’t run your business profitably! Let’s look at a few tips that can help you overcome this major factor and make it easier to handle the situation as avoiding it is impossible. Losing trades and money is part of the game, don’t forget that. There is no place for denial in profitable trading. Don’t blame your losses on bad luck or anything else for that matter. Accept responsibility for your actions and decisions. Don’t be dependent upon trading for all your fulfillment or happiness. Focus on the opportunities, not on regrets and past mistakes. Proper risk control and discipline is non-negotiable when it comes to trading. Revenge trading to try and make back your losses carries far too much emotion and is more often than not costly. Learn to know yourself and recognize your state of mind. Everybody will have a different figure in that quote but it comes down to the same thing. Would you be able to say that with a smile on your face? Only you can answer this question. Always be honest with yourself as you will be fooling no one but you! Best of luck for the last trading month of the year 2013. Already Have A Broker? – Are You A US Trader? Join The Education! If you have any questions about the FREE Binary Options Education when you sign up with TopOption, or need more information about the Skype Room you can contact Allen Henn. 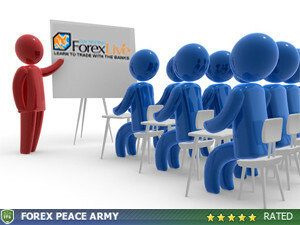 He is a current member and the DTFL Binary Options host.